Office 2 HD Updated to Allow Track Changes. Awesome! "Many of you will have read the above headline and thought "Meh. Whatever." And yet here you are, still reading. Well, if you got this far, here's the reward. 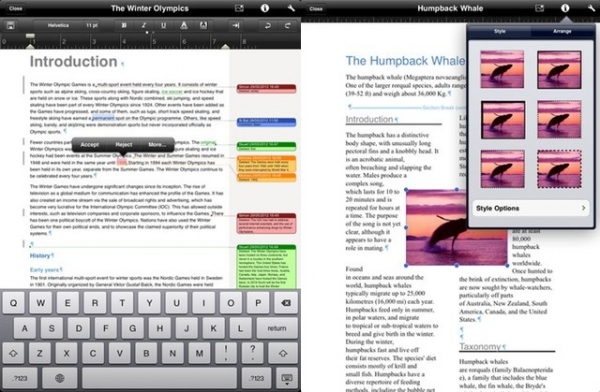 Office2 HD, the MS Office-compatible suite for the iPad, has just gotten support for Track Changes and comments." This is actually great news! You can't do it on Pages, and I could have used this feature last week when we were proposing changes to our contract. It's available now for $7.99 USD in the iTunes store, so tell me why am I waiting for Microsoft to come out with Office for iPad? I guess I'm not!